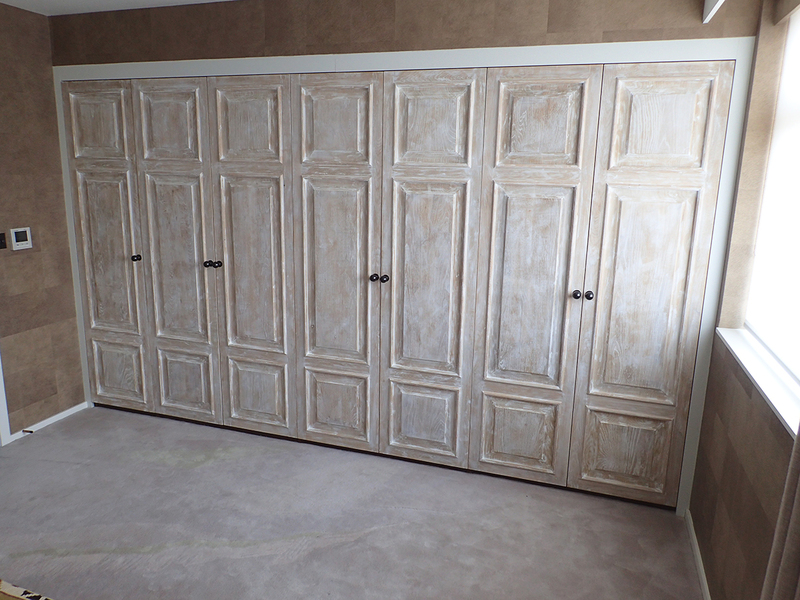 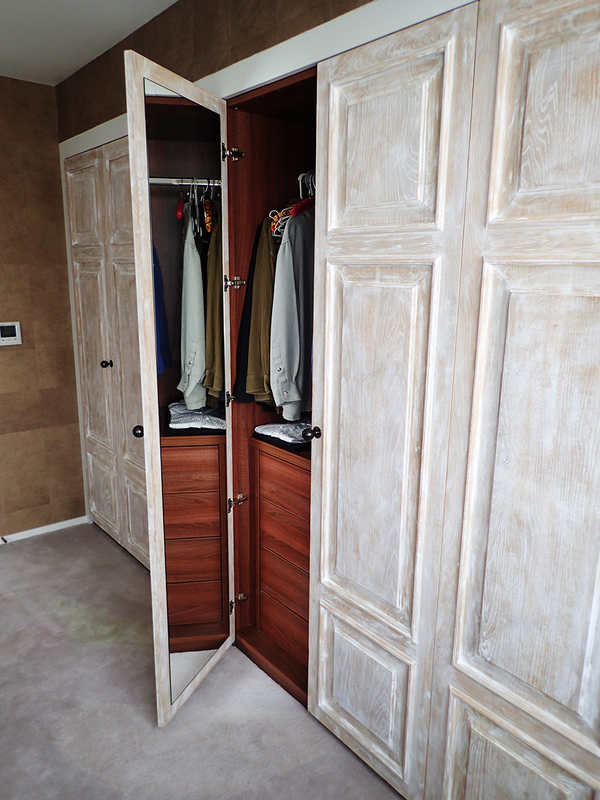 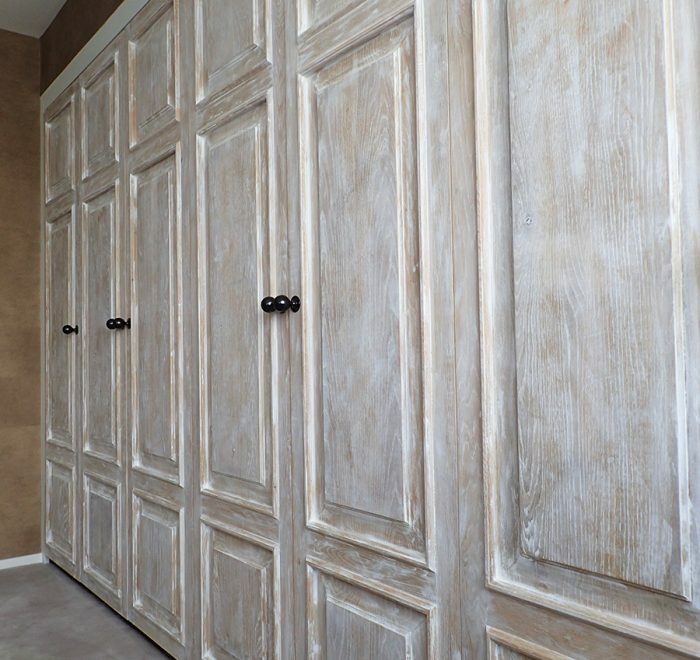 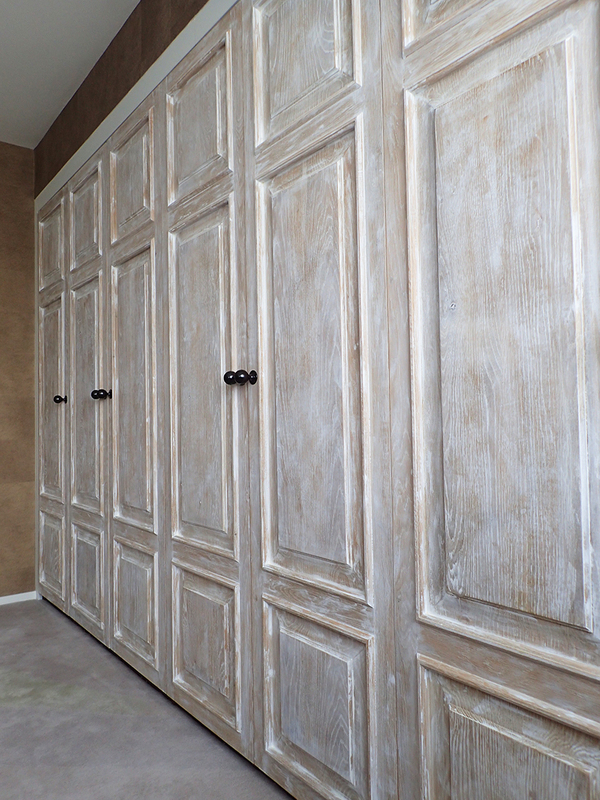 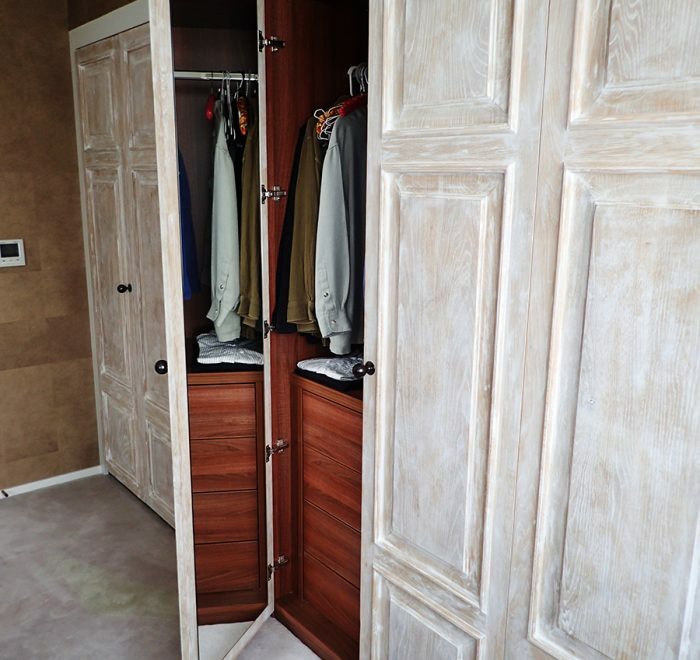 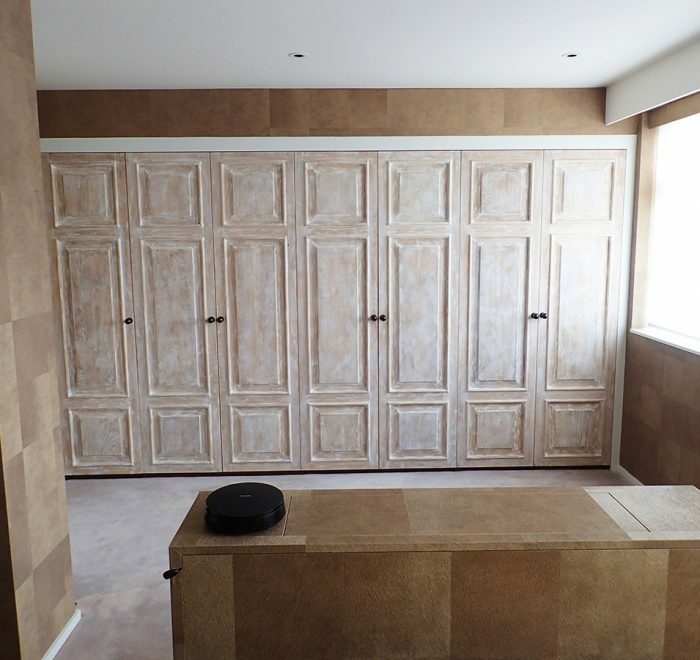 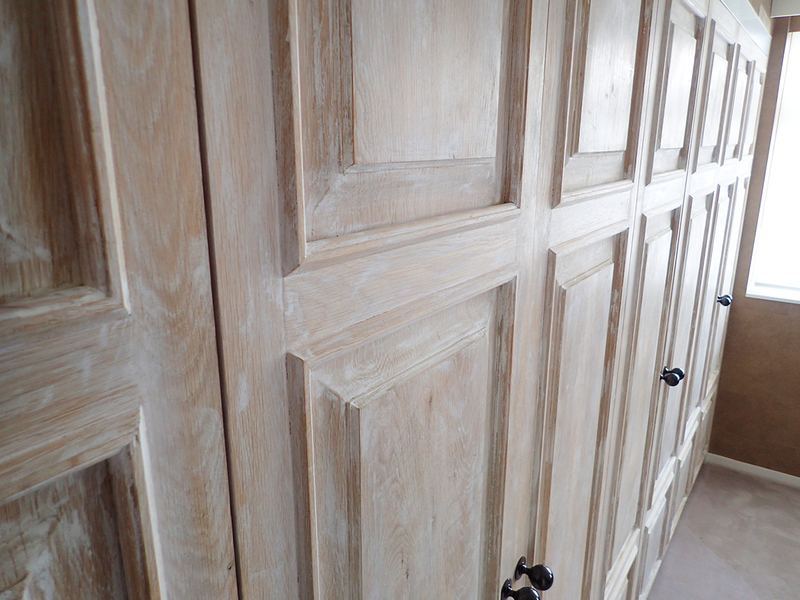 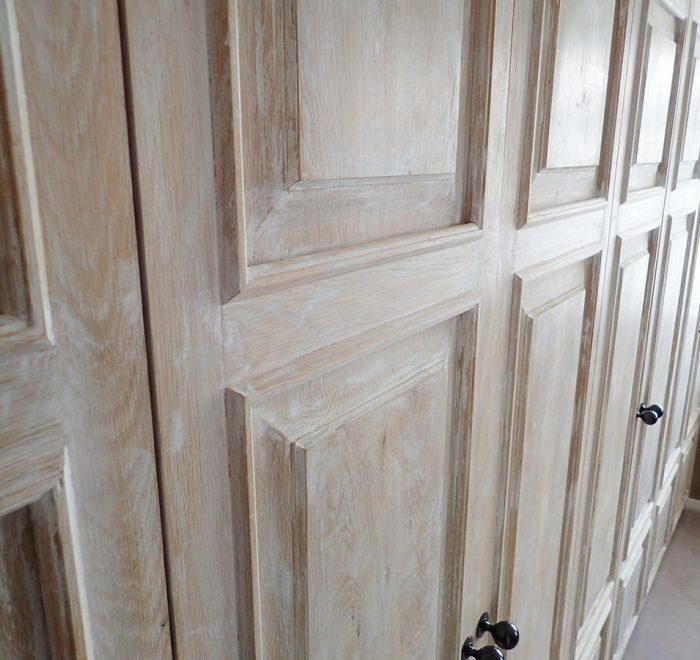 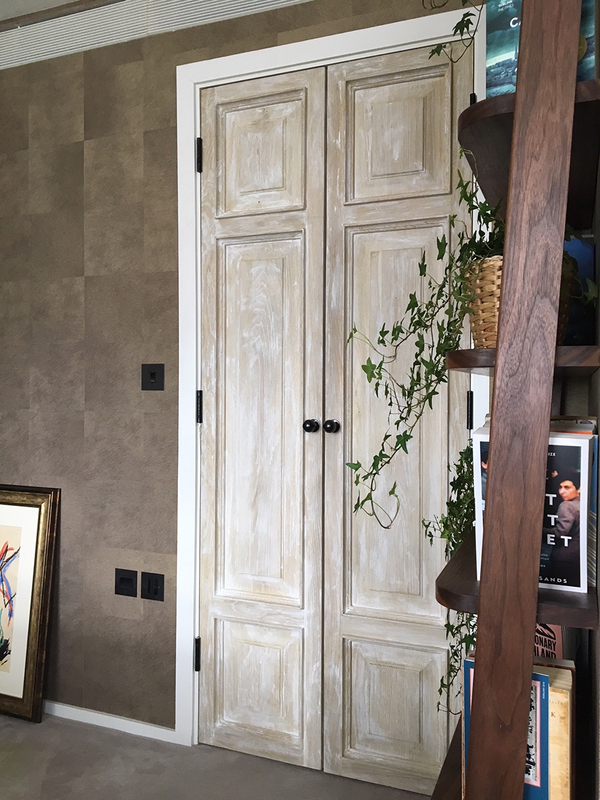 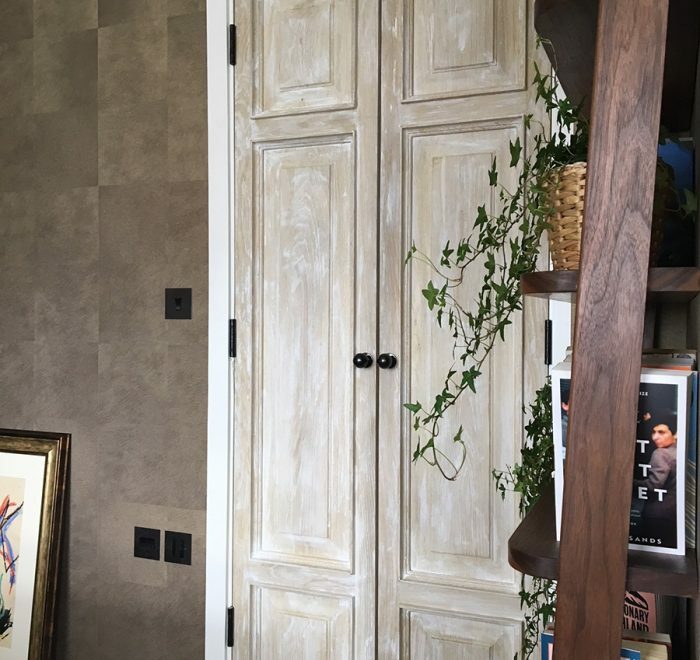 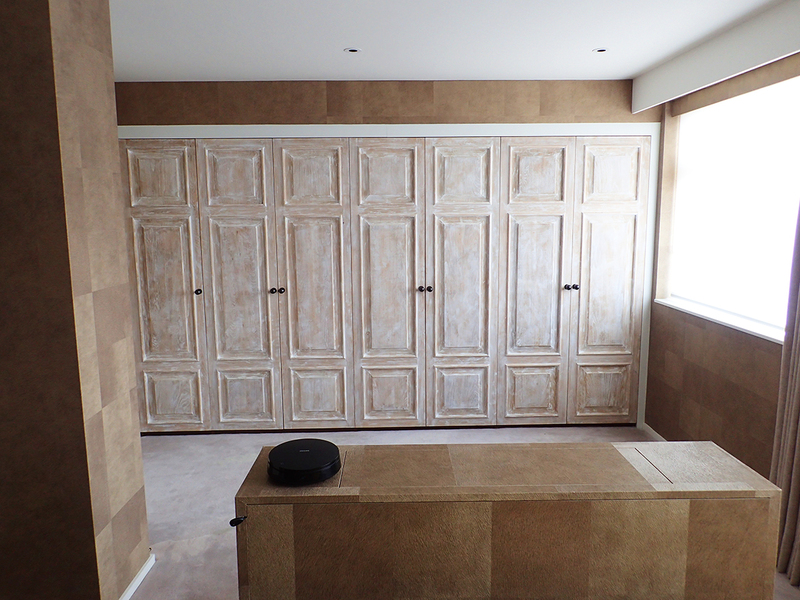 Upon first creating a pair of raised panel oak doors for the bathroom, the client wished for the existing wardrobe doors to be replaced with doors in the same style. 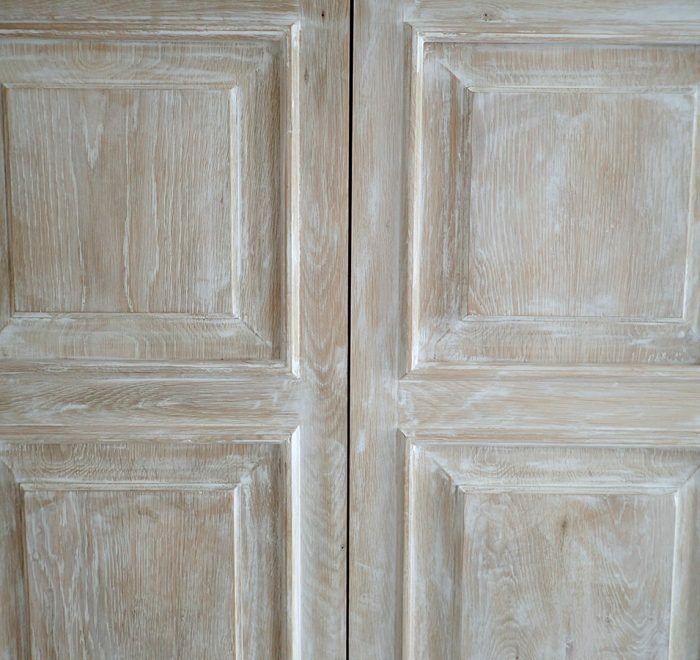 The seven oak doors that resulted are made exclusively from solid European oak and have been aged and distressed with various methods including bleaching and liming. 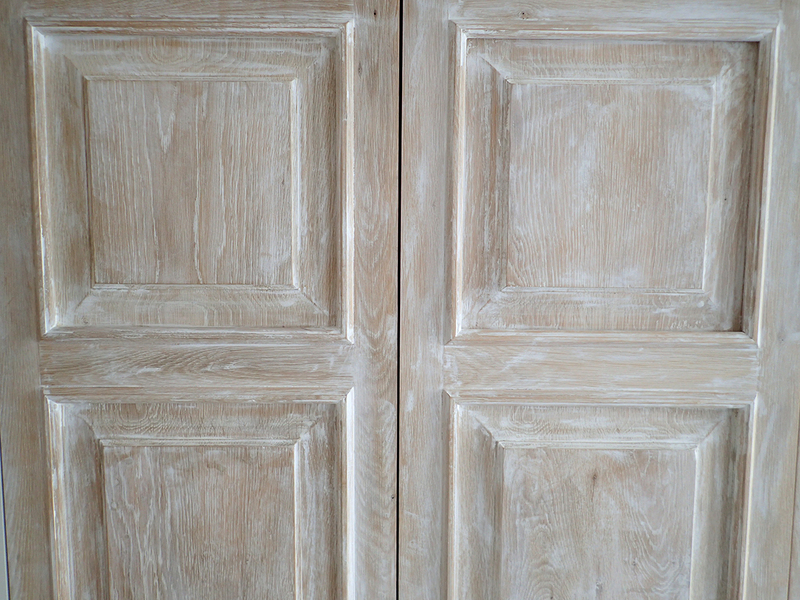 The traditional method of making doors, the panels are cut from solid sections of oak with beading framing them. 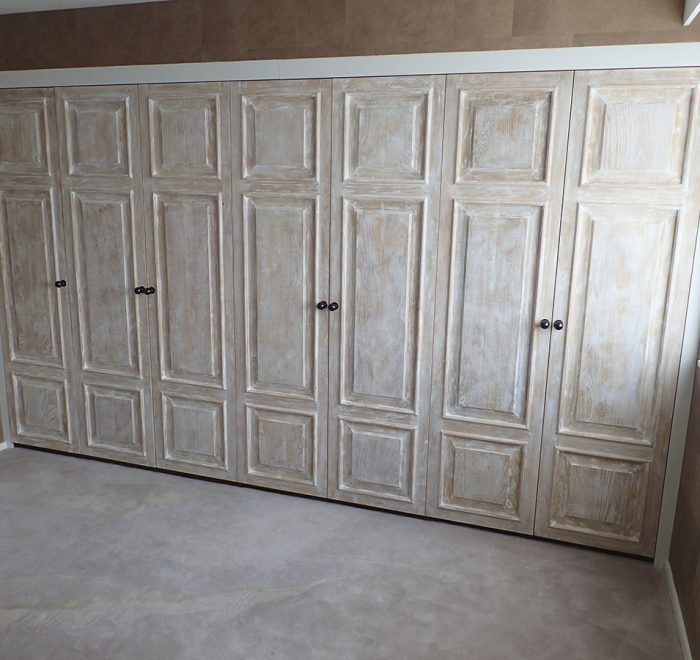 Each frame is then glued up with the panel inside free to contract or expand according to the changes in moisture in the environment.